V.I.M.RECORDS is an Electronic label from Thessaloniki, Greece releasing quality Breaks, Electro-House, Tech-House, Techno and Electronica stuff by Greek and International artists. V.I.M. is operated since April 0f 2007 founded by PALE PENGUIN, ECHONOMIST, MR.LOOKMAN (aka THE SCIENTIFICS) and released full CD albums, singles and remixes by artists like THE SCIENTIFICS, CLAAS REIMER, THE CLERKS, GABRIEL LE MAR, PETER PANN, NIKOLA GALA, MR.LOOKMAN, ECHONOMIST, ELECTRIC SOULSIDE, INFO, ELICA, CARLO, NICE, AIRBUS MODULAR, DOM ALMOND, BREAK THE BOX, SINTEMU, 2CRUSH, SIGNAL DRIVERS, BASEMENT FREAKS, KID STRETCH, MIGUEL TUTERA, ENTEK, DTOLIO, WI:RE, SOMNABULIST, WASABI, JAKOB SEIDENSTICKER AND LEXGOLD, ED DAVENPORT, BLATTA AND INESHA, SOMSAY, EYECAM, FOG, MIDNIGHT PULSE, SYNCRO 69, HALOBEATZ, ANDREA LAI, DOC TRASHZ, SMACS AND PATRICK KONG, ADAN, DIMOMIB, ALEX TSIRIDIS, PALE THE KID, PINK A PAD'S, SUBSONIC PARK, I:LYKE, MACHO, GELAZ, LLUPA, CIRCUIT BREAKER, BALDO, PELE, LADY PACKA, RUIDO, GEORGE DELKOS, TOY QUANTIZE, DIGITAL BREAKS FOUNDATION, COSMONAUT, DECENTLY STRIKING, TOY QUANTIZE, TRIPLE AGENT, KULTUR + COLOMBO, QUADRAT BEAT, YREANE, REKTCHORDZ, RUNRIOT, BEN & LEX, WILL WHITE, ELASTIC FISH, ACCESS DENIED, SCAPO, HOME ALONE, SYSTEM 2, DIGIBOX, DUANE BARRY, CAGE PAGE, F WORD, BEAT RANGERS, HELBOT, LINE OF SIGHT, ONE OF BRA, AUDIOTRUCS, MIKE GOLDEN, THE SPIDER BITE, LEE BASS, BREAKING NEWS, BASTARDFOOL, BENJAMIN VIAL, EK, 9WEST, COSMIC COWBOYS, LARS WICKINGER, ELTRON, DIMITRIS ATHANASIOU, EISA DORE, MISS SHIVA, CRAZY SONIC, KEN HAYAKAWA, DIRTY DEAL, AKASHA FX, ZIPMIX, C@DE, DEEPLY UNEXPECTED, DALLEAN, MAX HERTZ, CRAB DJ'S, TOM CLYDE, FREAK DA BASS, PARALLAX BREAKZ, LUSKA, DEF[EZ], CLUBSONICA. IRE, EZ ICARUS, GIRA, MARTOPETER, CANNAVINOID, HELSKANKI, ALIEN GRACE, CUERVO, WILL MARSHALL, CHOC ST.CLAIR, XEN OCHREN, DiiSTORTiiON, PROSPER, DJ HOOK, SYSTEM 2, SPYKE, VIZE AND ECHOIK, FUTURE FUNK SQUAD and many more. V.I.M. is being presented in many forums, sites (BREAKBEAT CANADA, BREAKINASIA, RESIDENT ADVISOR), radios (RADIO1, BBC1, NSB, IBREAKS, BRAP FM, MAGMA WEB RADIO, NUBREAKS, DANCE, REPUBLIC FM) and music magazines (DJ, IDJ, M8, MIXMAG, FREEZE, SOUNDMAKER) gained strong support and recognition by well respected djs/producers/radios/magazines of the international electronic scene. 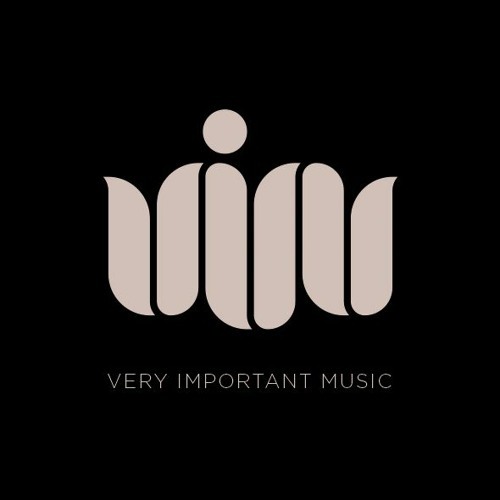 People like ANNIE NIGHTINGALE, MR.NO HANDS, LARRY NELSON, PETER JORDAN, AXEL BARTSCH, MEGABLAST AND MAKOSSA, PELE, QUEXTAL, KYULO, DJ KULTUR, OIL FARTOOLUD, MEAT KATIE, KICKFLIP, PATHAAN and many more presented and played tracks from our catalogue in their radio shows, magazines, dj sets.....The label is releasing full digital and limited vinyl singles and physical CD albums by Greek and International Electronica artists. Additionally to the parent label V.I.M.RECORDS got two sub-labels. HIGH STRINGS RECORDS is a quite new sub-label designed to release quality Deep-House stuff by Greek and international artists like SMACS & PATRICK KONG, ALESSANDRO OTIZ, ARCHIE, KINDIMMER, FRANCESCO ZANI, RED ESSENCE and more. DIABLO LOCO RECORDS is the collab label between V.I.M.BREAKS and ERASE RECORDS. The label is inspired and dedicated to traditional Mexican wrestling and the famouls wrestlers The Luchadores. The label is releasing top quality Tech-Breaks/Tech-Funk/Techno stuff and so far had released singles by the likes of DJ HAL, PETER JORDAN & MICHAEL MORPH, LIZARD KINGS & ELECTRIC SOULSIDE, LADY PACKA, HOME ALONE, DIGIBOX, TOM CLYDE, RONIN8, STEVE MACCABE & SYSTEM 2, DEENK, AP3X & HOME ALONE, THE SLOPPY 5TH's, SYNTHETIC HYPE, HIRONIMUS BOSCH, MACHO, ELECTRIC SOULSIDE, FREAK DA BASS, BL1TZ with strong support and chart success. DIABLO LOCO won BREAKSPOLL 2012 BEST NEW BREAKS LABEL AWARD while lately gained two No1's at BEATPORT BREAKS TOP100 with ELECTRIC SOULSIDE and with SYNTHETIC HYPE!! !